The United States incarcerates more people than any other country in the world. Every day more than 2 million people are locked in prisons, jails, and immigrant detention centers. Another 7.2 million are on probation, parole, or under a deportation order. An estimated 65 million people have criminal records. The fastest growing industry in the mass incarceration crisis is the noncitizen detention system. Currently, there are over 200 immigration jails across the country detaining as many as 400,000 people every year. These jails are either run by Immigration and Customs Enforcement (ICE) or by private prison companies such as CoreCivic (formerly Corrections Corporation of America) and the GEO Group. Texas, California, and Arizona are currently the leading noncitizen detention states in the nation. In Arizona, five facilities are charged with detaining immigrants: Florence Service Processing Center is run by ICE and holds 400 beds; Eloy Detention Center is run by CoreCivic (formerly CCA) and holds 1,500 beds; Florence Correctional Center and Central Arizona Detention Center are both run by CoreCivic and together hold 700 beds; San Luis Regional Detention Center is run by Emerald Correctional Management and has 960 beds. In addition, four county/city jails, the La Paz County Adult Detention Facility, the Yavapai County Detention Center, the Coconino County Detention Facility, and the Navajo County Sheriff, are all used as needed to detain immigrants. have you or someone you know been affected by immigrant detention? 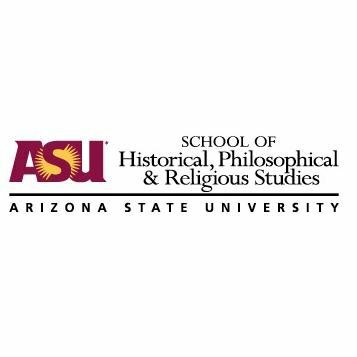 The School of Historical, Philosophical, and Religious Studies at ASU under the direction of the Institutional Review Board is conducting a study to collect oral histories of people who have been in detention in Arizona’s immigrant detention centers in order to document the physical, emotional, and psychological toll that detention takes on them. The study will conduct semi-structured interviews among adult men and women who have been released from Arizona’s immigration detention centers. Audio recordings of these interviews will be placed in the ASU Library’s Digital Repository so that they will be accessible to students and researchers at ASU as well as to the general public. Study has been closed as off July 2018.